Let's Talk About Japanese Cram School Entrance exams are coming, let's do this! I talked about my Japanese education a while back, but wasn't able to adequately discuss Japanese cram schools, or juku 塾（じゅく）. So, why don't we talk about that today? Cram schools are specialized schools that train their students to meet particular goals such as achieving good marks or passing the entrance examinations of high schools or universities. Many Japanese students feel relentless pressure to get ahead of the Juken-sensou 受験戦争（じゅけんせんそう）, also known as the "entrance examination war," so many kids attend a full day at school and then a few additional hours of cram school in the evening before doing a couple more hours of study at home so they can get to bed right around midnight. That's a pretty heavy load for a child, isn't it? My first cram school was KUMON 公文（くもん）, which is a math and reading cram school. I forget exactly when I started it, but I'm going to say it was around my third grade of elementary school. Following that, I moved on to another cram school when I began junior high school. Unlike usual cram schools, KUMON is intended to supplement rather than replace school lessons, so students work individually and progress through the program at their own pace, advancing to the next level when they have mastered of the previous level. The system was pretty well suited for me since I prefer studying at my own pace and the sheets that we worked on were kind of like a fun puzzle for me to complete. When I was a university student, I even worked at KUMON as an assistant teacher, so I've spent a lot of time at Kumon schools. It's now even present worldwide, and I was even able to find a couple in the Canadian city close to the town that I'm currently living in. So maybe you've seen it before even in your own home country? Despite all this Kumon time, I found myself wanting to go to a different cram school when I reached junior high school. I needed something that would specialize in high school entrance examinations. In order to go to the new cram school, I had to take a train every evening, so my parents at first didn't want to enroll me there. However, I begged them because many of my friends were there. Wanting to hang out with my friends was not the only reason, though. I also didn't want to find myself academically lagging behind my friends. Keep your friends close and your high school entrance examination enemies closer, eh? Although the new cram school was much more competitive, and everyone could see how well you did on the mock examinations by looking at a board with all the student's names on it, I honestly didn't dislike the school. As I mentioned earlier, the school was a couple of stations away from my town so I had to take the train which was sometimes a bit troublesome, but it also allowed me to make new friends from different schools. The teachers were great, too. I enjoyed that school a lot and was glad that I made the move. When I became a high school student, I once again changed cram schools to focus on the upcoming university entrance exam. At this point it wasn't that big of a change, so I enjoyed the new school as well. As for special events, both KUMON and the cram school I attended during junior high school had a "New Year's Eve All-Night Studying Event" (toshikoshi-testuya-benkyoukai 年越し徹夜勉強会（としこしてつやべんきょうかい）). 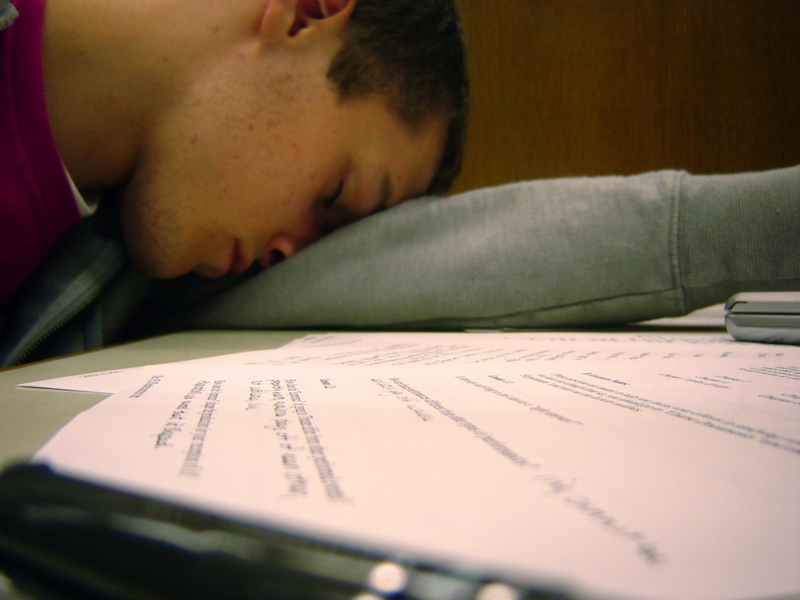 The teachers encouraged us not to fall asleep and to keep studying until morning. There were even a few games to help stimulate and relax students as well. It was a lot of fun to stay up late with my friends, but everyone reaches a wall and you would get sleepy at some point and find it nearly impossible to keep studying. Granted, it wasn't an effective way to study at all, but it did teach us some discipline. I know you're probably sarcastically thinking "Right on! That sounds like a fantastic way to spend New Years Eve!" However, after saying that, studying all night together actually made us feel as though we achieved something great and it was a real confidence booster. 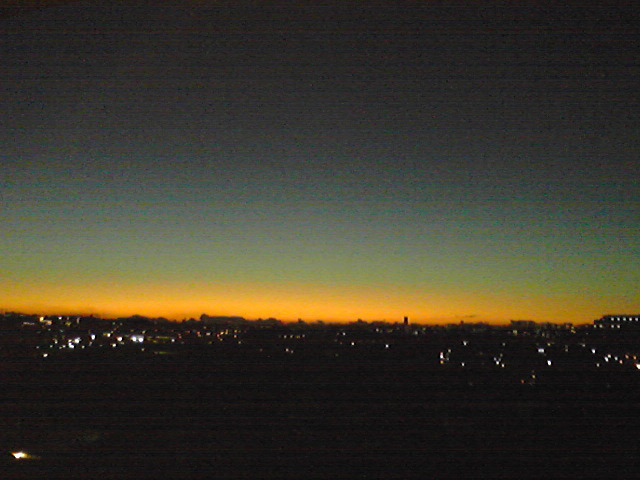 The New Year's sunrise, known as hatsuhinode 初日の出（はつひので）　was quite memorable, too. Everyone made the same New Years resolution: study hard to achieve good marks on the entrance exam. Now, you may think I'm a bit of an oddball because I actually liked juku (cram school), but I'm not the only one. I interviewed some people who attended cram schools when they were younger and I found that every single one of these girls really enjoyed going, at least in retrospect. Rina (pen-name), who is 19-year-old female, went to cram schools while she was in elementary and junior high school. Although she had to go there every day, except on Sundays and summer vacations, she said she liked it. I liked my cram schools. It was enjoyable to study with my friends. Teachers also gave us many quotes, posted phrases on the wall and set goals for us, all with the purpose of encouraging us. I found it fun and funny so I wanted to go to the cram school every day. Paeja (pen-name), who is 28-year-old female, also liked her cram school. She went to her cram schools during all of her elementary, junior, and high school years. Her cram school also had a New Years Eve camp-in for working on a collection of past entrance exams from many choice schools. I liked my cram schools because I was able to get to know students from other schools and I also liked the cram school teachers. I also asked her why she liked the teachers. She answered they were nice and funny and she gave me a couple examples of why she thought so. On the last day of the summer program, one of my friends ran away from home. The cram school teachers were genuinely worried about her and looked after her after she was found. My brother went to the same cram school I did, but he rejected the idea of cram school and was repeatedly truant. His teacher and the head teacher of his grade worried about him and unexpectedly visited our home at night after the cram school closed. In a geography class, I had a teacher who always personified the principal product of each country’s district like ‘Wakame-chan (Seaweed-chan)’ or ‘Menka-chan (Cotton-chan)’. I found it funny and it helped me memorize them. Surprisingly, she confessed to liking the cram school teachers so much that she even fell in love with one of them. She ran into him 10 years down the line and they actually dated for a while. She also told me that it's fairly common for a student to develop a crush on a cram school teacher. She had a friend who had a crush on a teacher while going there, too. She remembers that she dreamt up an imaginary love story between her friend and the teacher and wrote the short story out for her, but it was discovered by the teacher somehow and both of them felt monstrously embarrassed. Yukari (pen-name), who is 28-year-old female, also liked her cram school, though she had a rather bitter experience there. The teacher scolded her for having a secret Christmas party in the self-study room with her friends. As you might presume, she had a lot of friends there and that was the reason that she liked the cram school so much. She also worked at a cram school when she was a university student. She often looks back on that period in her life and remembers how busy her days were. I taught junior high school level science at a cram school for three years. 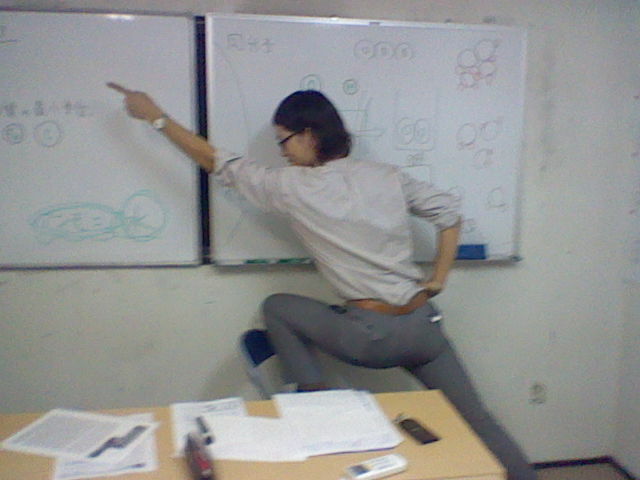 Being a teacher at a cram school means being very busy. I barely had any private time and neither did the other teachers. Our whole lives existed within the cram school. Therefore, there were actually a lot of complicated, soap opera-esque relationships among the cram school staff. However, there are of course some people who don't like cram schools and 8-chilis (pen-name) is one of them. He didn't like cram school because you are bound to a lot of things. He once attended a winter session when he was in junior high school, but he thought he could do it by himself because a cram school is just a tool and not necessary. Although he succeeded in doing well on his high school entrance exam, he failed the entrance exam for university which resulted in him becoming a Rounin 浪人（ろうにん）. Rounin means a masterless samurai, or a jobless person / high-school graduate who has failed to enter a university and is waiting for another chance to obtain a place. While he was a "rounin," he finally went to a cram school because he felt that he needed to regiment his studying and also thought it would have been fruitless to continue studying by himself for one year without seeking any assistance. After doing so, he successfully rewrote the entrance examination and was accepted to Kyoto University a.k.a Kyoudai, which is the second oldest Japanese university and one of the highest ranked universities in economics in all of Asia. It is also one of Japan's Seven National Universities. However, he told me that he still didn't regret his decision of not going to cram school when he was younger. He continued, "Of course I imagined the "what if" stories, but I probably still would have failed the exam, even if I did go to a cram school. The people who did move on to university had a clear goal in their minds, but I had no such goals. I figure that even if I could go back to that time and try the exam again, I would fail it. So I kind of impressed myself when ended up passing the exam after one year of being a rounin", he chuckles. Remember, he still ended up going to Kyoto University, so he was a smart guy after all, but we can't be sure how a cram school may have benefited him on his first exam, if he had gone to one. Initially he told me that he disapproved of cram schools because he didn't want to feel bound to it in order to succeed, however, after one year of being a "rounin," that is the exact reason why he placed himself there. He utilized his time and motivation very well. Anyways, I'd say that becoming a cram school student is a very wise path to walk down, although it is often an arduous and uphill one. Whatever your reasons for going, rest assured they are probably good ones. Granted, there may be some drama among the cram school staff, like Yukari mentioned, but there are many teachers beloved by their students and it is one of the main reasons why students continue to go back to cram school, as Rina and Paeja did. I think it's fair to say that most teachers would agree, to some extent, that being liked by students creates a better learning environment and eases the job of being an effective teacher. However, there is a secondary truth to that, as well, which is that if teachers are not well liked or accepted among the students, they face the possibility of losing their jobs. According to a research study) conducted by Japanese Ministry of Economy, Trade and Industry about cram schools, of 2,071 parents who have one or more children attending a cram school, over 90% of them agreed that teaching methods are incredibly important, but they also believed the eagerness of the teachers and how intently they take care for their children is critical. Additionally, another research study, conducted by the Japan Juku Association, administered a questionnaire to over 5,000 separate cram schools with the intent of discovering what criterion they hold as the most important in the evaluation of teachers. The results showed that 46.6% of employers consider teacher reputation among students as the main benchmark and it was the single most important criterion. Surprisingly, academic improvement was secondary to reputation with a score of (45.8%) and the third most important consideration when evaluating teacher performance was teacher reputation among the students' parents (41.3%). So it seems that the primary requirement for a teacher's longevity in a cram school is that they are liked by the students. This study may not be something that those teachers should read as it might add a whole new level of stress as they attempt to cross off yet another strenuous goal on their list of career accomplishments – acceptance. I can just imagine all the elderly teachers wearing parachute pants walking into a classroom with a boom box blaring AC/DC or Run-D.M.C. planted firmly on their shoulder and saying "Ah yeah, this is my jam!" while passing out sticks of peppermint bubble gum and yoyos to a room of bewildered students. 47-year-old Osamu Hayashi is probably the most famous and successful teacher currently working in Japan. He teaches contemporary Japanese literature at a nationwide cram school called Toshin High School that mainly focuses on preparing students for university entrance exams. 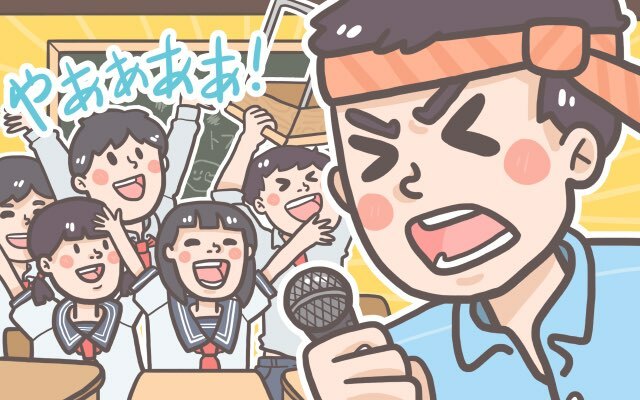 Toshin High School is known for its unique TV commercial series, which focuses on some of their most popular teachers and shows a few quick clips of their actual classes. Each teacher has their own distinct character and uses strong words to encourage their students. Hayashi is one of the teachers that appears on Toshin's commercial series, and his signature phrase during class and on the commercial is: "Itsu yaru ka? Ima desho! ", meaning "When will you act? It should be right now!" The message was originally intended for students planning on taking college entrance exams and, in fact, he was already famous among students even before making his way into the TV world. Yet, some business people recognized the phrase's great potential and thought of how to use it. He started appearing in a number of TV commercials and campaigns, and the phrase became a nationwide catchphrase, especially among the younger generation. The phrase is now used in many places such as drinking parties or even business situations. For example, some people ask their colleagues, "If you don't drink now, then when will you?" in order to make them answer, "Imadesho". Salesmen try to encourage their clients who are hesitating on signing a contract, "We have a great campaign rate at the moment and if you don't sign up now, when will you sign up? It should be done right now!" 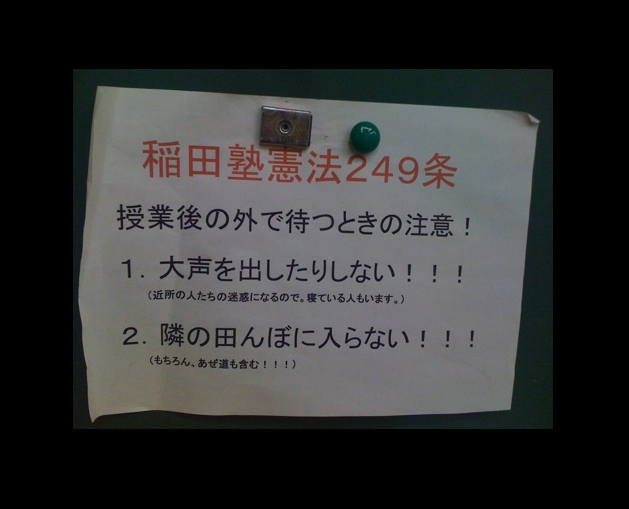 So what does the fad of Hayashi tell us about Japanese cram school education? After all, is cram school a business whose "product" quality is solely based on their number of admissions? If the reputation of a school is decided upon by children and their parents, and if advertising helps to develop a positive reputation for your school, then all the more power to you. Thanks to its commercials, Toshin High School is now famous for having "unique" teachers, though its mission is simply to help their students to pass the entrance exams for some of the top universities in Japan, including the University of Tokyo from which Hayashi himself graduated. From my experience, I felt that my teachers were in it for more than just money. You could probably pick that up from Paeja's comments, as well. Some teachers even visited a family for one student because they worried about her brother's future. It may have been a part of their business' protocol, but to me, it's more than that. If things like this were done solely for business purposes, I don't think that they would have bothered to take so much care of a runaway girl, either.